The Indian pension system was largely inherited from the British. The concept of pension was prevalent in the late 19th century during British colonial rule. As per Government of India Act of 1919, Central government employees who were on the rolls before 1 January 1920 were given a choice to retire on a pension proportionate to their service. The provisions of pension benefits were strengthened in the Government of India Act 1935. The pension scheme adopted at the time of Independence continues for the government employees and defence forces personnel. However, a new pension scheme has been launched for civilian government employees who joined service on or after 1 January 2004. Pension is a compensation paid by the government in recognition to the services rendered by an employee. Pension policies have changed within the last century and a half. It is not a charity as granted by kings or a consideration for services rendered by colonialists, it is a legitimate right of a government servant. As per the Supreme Court, the right to receive pension is ‘property’ under Article 31(i) of the Constitution. The pensionary entitlement to army personnel is governed under the provisions contained in Pension Regulation for the Army 1961, which continues to be under revision in the ministry of defence (MoD). While formulating any pension structure, the basic principle of social equity is paramount. This principle suggests that the quality of life that an individual enjoyed while in service is protected to the best possible extent. It is quite understandable that it can only be achieved to a reasonable degree. It is a known fact that no compromises are accepted when it comes to a question of national security. 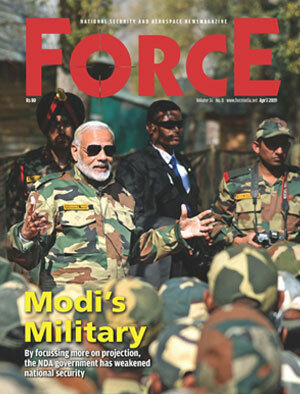 A nation’s defence forces must have a young profile if they are to win wars and safeguard its citizens and territorial integrity. A very apt illustration is the victory achieved for India over Pakistan by the Indian defence forces in the Kargil conflict of 1999. Success was made possible primarily because of the junior leadership and bravery of a young, fit and determined Indian Army. The company commanders were in their late 20s and the senior non-commissioned officers were only in the mid-30s. Tough, committed and competent soldiers, however, are obliged to retire from service in the prime of their lives at the age of 38-42 years. The pyramidical structure of the army is such that vacancies at the higher echelons are fewer and super-annuation is a norm that is accepted gracefully by most of the rank and file. The down-side of the game is unfortunately not grasped by either the general public or the policy makers, though they pretend to extend their sympathy. A soldier during his service is provided with free accommodation, food, clothing and transportation. His children attend the army, navy and air force schools across the country with a children education allowance to supplement. The day he retires, he is all of 40 years of age. There is a dramatic change in his youthful life. In a majority of cases, their children are in the age group of 10-12 years, still school going with aspirations of a complete, rounded education. To cope up with the demands of a reasonable domestic family life, he is now in a resource crunch – a pension that is half his basic salary, with none of the trappings of food, shelter or allowances. The impact is devastating. And what is more, he has to cater for such resources for the next 10-15 years at least till the children are dependent on him. On the contrary, his counterparts in the para-military forces and other government employment continue to work in this critical period of life till the age of 60. The moot question, therefore, is whether he is justified in seeking adequate compensation for retiring mandatorily, in the most challenging phase of his life. It is a high point in his military career when he is most competent, confident and at the peak of his efficiency.